Timber Creek teacher Mr. Otto has started a new campaign directed to the U.S. Treasury department. In response to the treasury department proposing a new face be printed on the $20 bill, Mr. Otto has decided that the $500 bill, which comes into circulation at random intervals, should bear the visage of President Theodore “Teddy” Roosevelt. For this campaign, he started a Twitter account, and started tweeting with the hashtag #TeddyOnMoney. Mr. Otto is encouraging students to tweet with the hashtag to the official U.S. Treasury department’s Twitter account, @USTreasury. However, this isn’t just about the legacy of one of America’s greatest presidents. Mr. Otto, a teacher who often engages in demonstrative, interactive teaching, sees this campaign as a way to motivate his students. Scattered about the school are model $500 bills bearing the face of President Roosevelt. 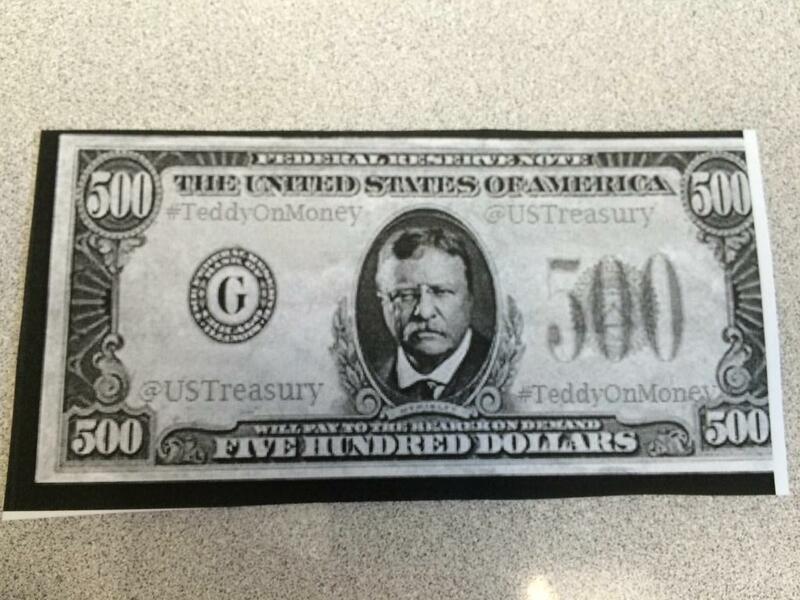 To support the movement, tweet pictures of the bills with #TeddyOnMoney to the U.S. Treasury.